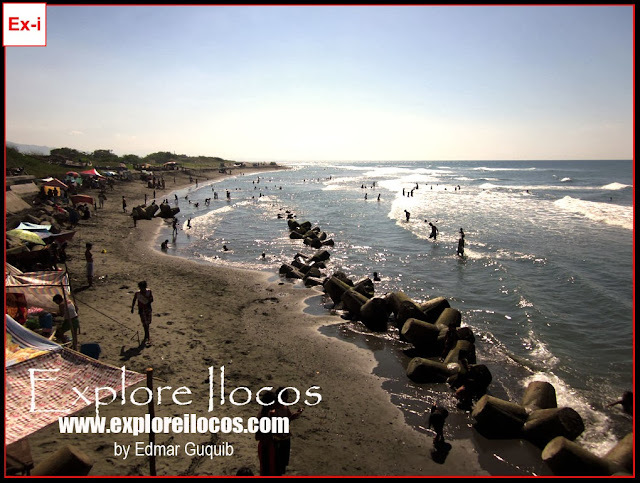 VIGAN CITY ▬ Ilocos is a coastal community. So, the Ilocanos are sons of the beach. Aside from being blessed with beautiful beaches, the Ilocanos' culture also extends to the coast. In Vigan City and neighboring towns, it has been a culture to some of the Bigueños to start the year right by going to the beach, especially in Brgy. Mindoro, one of the 2 coastal barangays in Vigan. The entry of 2014 was graced by many Bigueño beach goers. Mindoro Beach was crowded by the Bigueños and other visitors to celebrate life. It has been a culture in this part of Vigan for families and their relatives to gather in one accord as they welcome the new year. This also gives way for Bigueño families to reunite with their loved ones coming from abroad or other places. How about you, Ilocano? Where have you spent your New Year lately?